While my initial introduction to Japanese superhero shows was Super Sentai, I soon discovered that the king of Tokusatsu is Kamen Rider. The karate bug-man on a motor cycle who fights for justice is on the same level as Superman when it comes to brand name recognition in Japan. First airing in 1973, Kamen Rider screened on TV in one shape or form until taking a break in 1989. 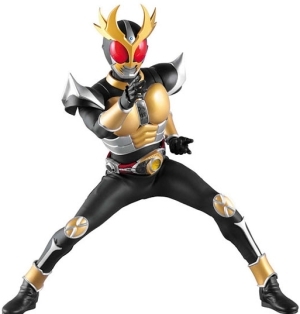 Taking a break in the 90s, Kamen Rider returned with a bang in 2000 with Kamen Rider Kuuga. After the success of Kuuga, producers were left wondering how they were going to follow it up. The answer was Kamen Rider Agito, a year long saga about an amnesiac hero fighting serial-killing monsters, the danger of emerging psychic powers, and the ultimate battle between good and evil. Only in Japan would you find a show this intense and dark and have it called a kids show. And why Avril Lavigne’s Rock N Roll music video is terrible. Captain Marvelous is one of my all time favourite characters. I even considered buying a Captain Marvelous cosplay costume at one point. I’ll take this pirate captain over Johnny Depp any day. Here you have a reckless and brash young man who never backs down. Someone who will literally take a beating and respond with a cheeky smirk. There’s a scene in the first episode of Gokaiger where the team are standing in the middle of the street when the evil Zangyack attack. 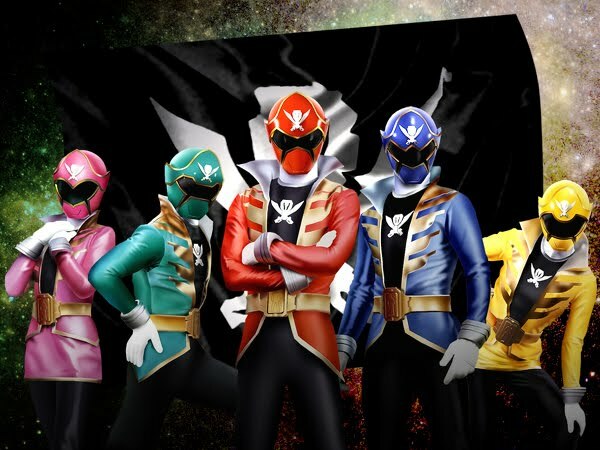 The other four Gokaigers duck for cover while explosions surround them. Not Captain Marvelous. He doesn’t even flinch. He stands there with his arms crossed and a look on his face that says “Is that the best you’ve got?” I love this man.